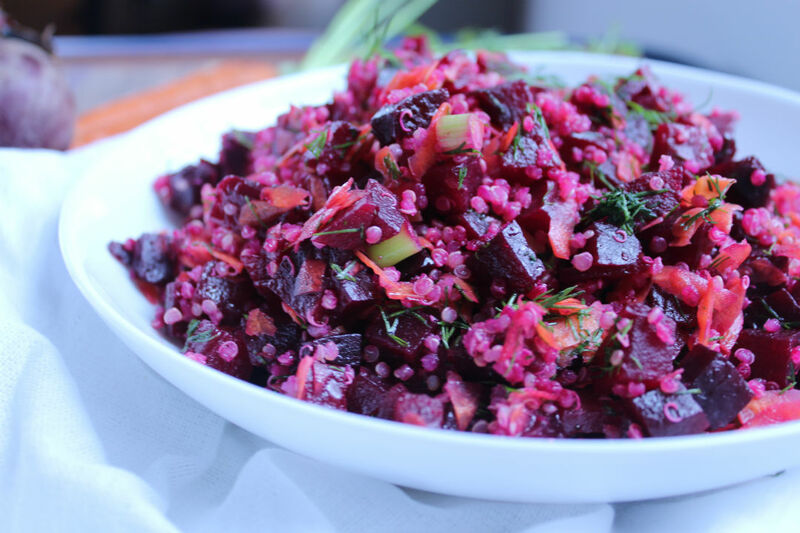 Roasted Beet Quinoa Salad with Carrots ! Beets should make be a regular appearance on your grocery list, they are deliciously sweet and nutrient dense. If, I believed in the term “superfood“, beets would certainly win my vote. Beets are rich in antioxidants, fibre, folate, vitamins and minerals. Furthermore, the pigment that gives these root vegetables their beautiful color, is full of antioxidants, which have anti-inflammatory and cancer fighting properties and aids in the liver detoxification process. Beets are extremely versatile , add them to smoothies, pancakes, hummus, veggie burgers and or roast them and make this salad. I got this recipe from my dietitian friend, Melissa Leblanc, and adapted it slightly, Thanks Melissa. I make this salad at least every other week, sometimes weekly. I love this salad for many reasons 1). Its delicious, I love roasted beets, carrots, and fresh dill 2). Its healthy 3). It holds well for lunches the next day and the next day 4). My family loves this salad, including my toddler. Don’t let the time preparation scare you, a little planning and the rest is pretty straight forward. I always roast the beets and cook the quinoa while I am prepping food for the rest of the week which is the most time consuming part. ). In a small bowl whisk olive oil, red wine vinegar, honey, dijon mustard, and salt and pepper. Add to cooled quinoa, beets, carrots, and green onions and toss. Crumble feta and serve. The dressing in this recipe contains honey and is not recommended for babies under the age of one due to botulism risk. If you want to feed this salad to your baby don't add the dressing or replace the honey with maple syrup. 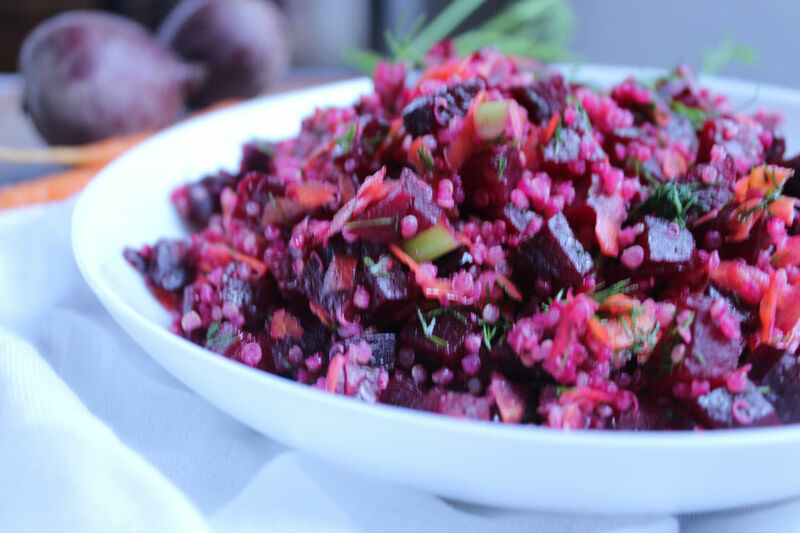 3 Responses to Roasted Beet Quinoa Salad with Carrots ! Lovely blog Barb! You hit a home run with this salad-- just made it. The dill just took it to another level. It will definitely be in heavy rotation in our home! Thanks Amani! Glad you guys enjoyed it !